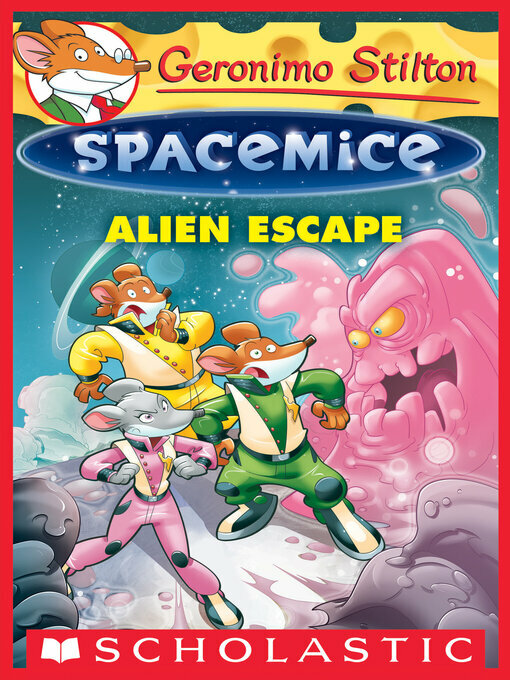 An all-new Geronimo Stilton series spin-off, set in outer space! Meet Geronimo Stiltonix: He is a spacemous —the Geronimo Stilton of a parallel universe! He is captain of the spaceship MouseStar 1. While flying through the cosmos he visits distant planets and meets crazy aliens. His adventures are out of this world! ALIEN ESCAPE Geroimo Stiltonix's spaceship is in danger of exploding! The only solution is to replace the engine's batteries by tracking down a rare element. When a group of mysterious aliens claim they can help, Geronimo is relieved. But are the aliens as friendly as they seem?